Coming exactly one week after its Southern neighbour delivered a stellar set of employment figures, Canada has posted its own set of pleasing numbers from the labour market and provided a boost to the Loonie. For January the Canadian employment change came in at +66k vs an expected +5k, with the prior revised slightly lower to now stand at 8k ( 9k previously). This now marks the best 5-month run of hiring in Canada in 16 years, with an average of 47k jobs added over this period. One aspect of this data release that is particularly important to watch is the number of full-time or part-time roles as this determines how strong and persistent the composition of the jobs will likely be. On this front there was more good news with not far off half, or 31k, of the total jobs added last month full-time in nature. 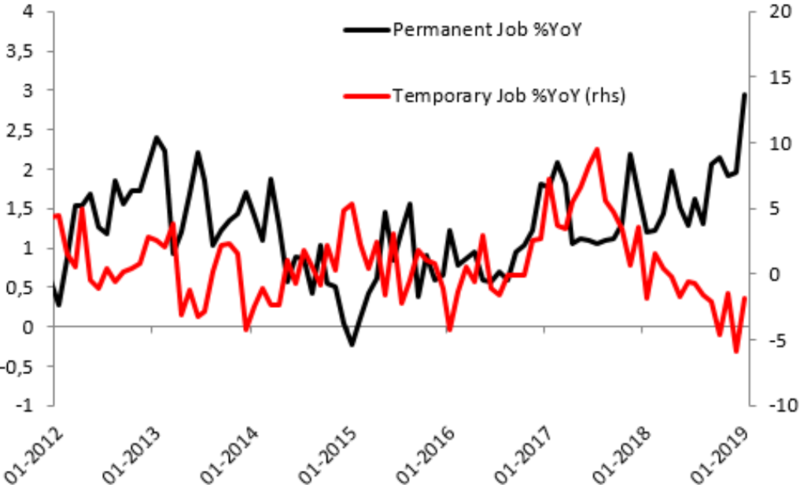 What is all the more pleasing about the recent run in jobs is that it appears to be mainly driven by full time rather than temporary work and this is suggestive of a strong labour market. Looking further at the report, one apparent source of weakness could be the unexpected rise in the unemployment rate which increased to 5.8% from 5.6%, against an expected 5.7%. While an increase here is negative, it can be explained in part by a rise in the participation rate which rose to 65.6% from 65.4% prior. On the whole the data point is good for the Canadian dollar and as you’d expect it has gained in the initial reaction. The USDCAD may be lower today but it’s been a good week for longs in the pair with the market managing to end higher each of the past 4 days. The rally has seen the market return to a potentially key resistance level around the 38.2% fib retracement at 1.3326. Today’s high almost perfectly coincided with this and the strong jobs data has now caused a pretty firm rejection. This could be seen to further heighten the case for this as a potential resistance and if price fails to break above there then a pullback towards recent lows and the 61.8% fib around 1.3119 is possible.